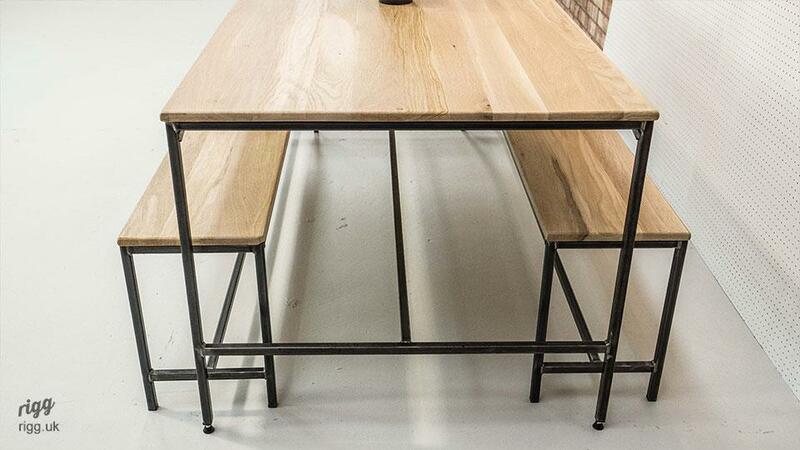 Our industrial dining table and benches set offers vintage industrial style but with a frame of slender proportions. 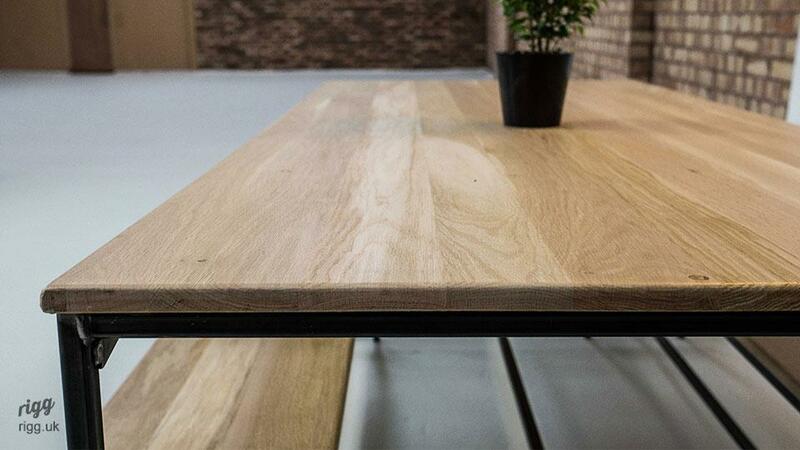 The table featured is 150cm x 90cm, with other sizes also being available as described below. 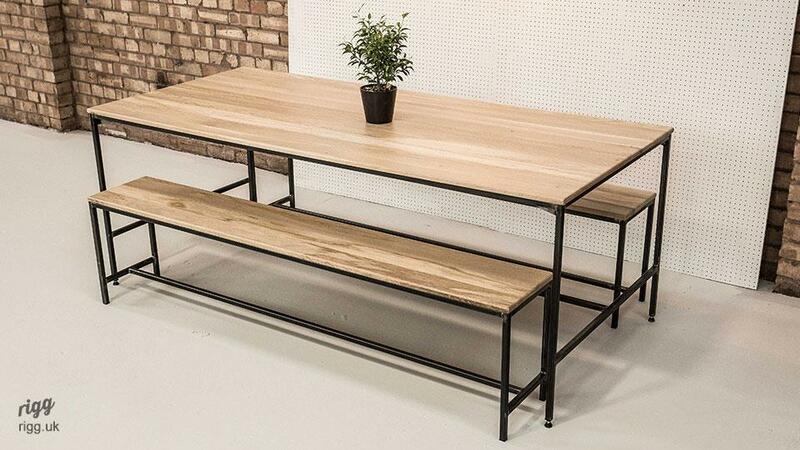 The top is made from characterful timber and is supported by a robust welded and bolted steel frame. The latter allows easier installation in tight spaces. 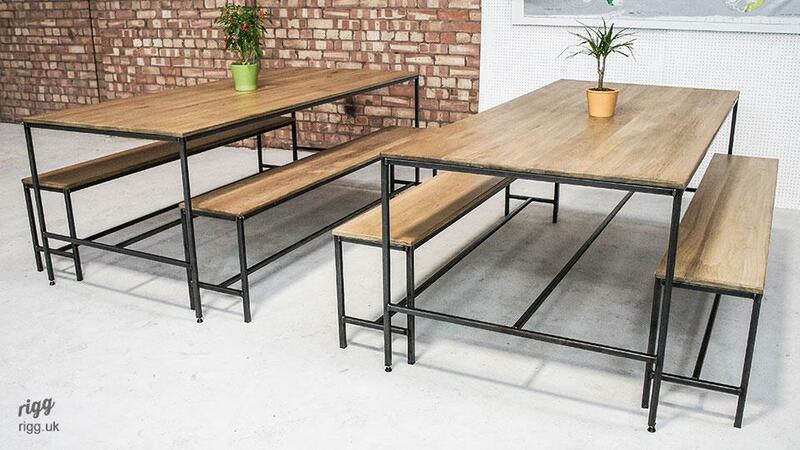 This industrial dining table and benches set is also available with one bench - please enquire. 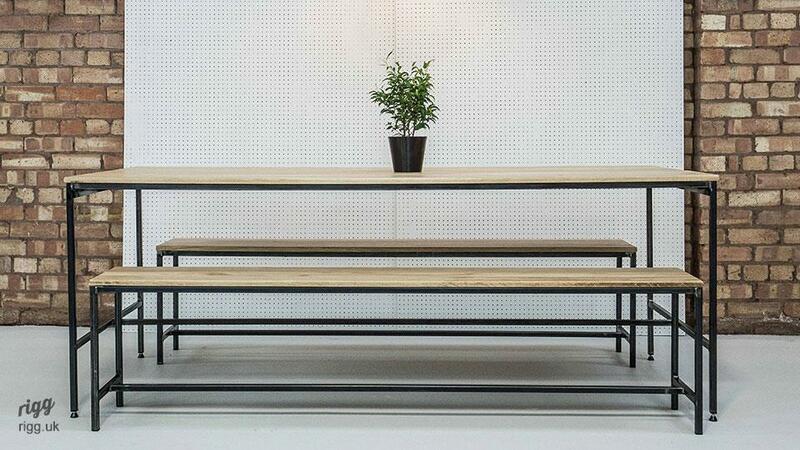 All versions are 75cm high x 0.9m wide.